Dash Door & Glass is pleased to announce that our team has been awarded a packaged scope for the Norwegian Cruise Line Terminal at PortMiami. Multiple Dash Door & Glass Service Groups are collaborating to furnish and install interior glass, door and hardware, and interior automatic doors at this exciting project. 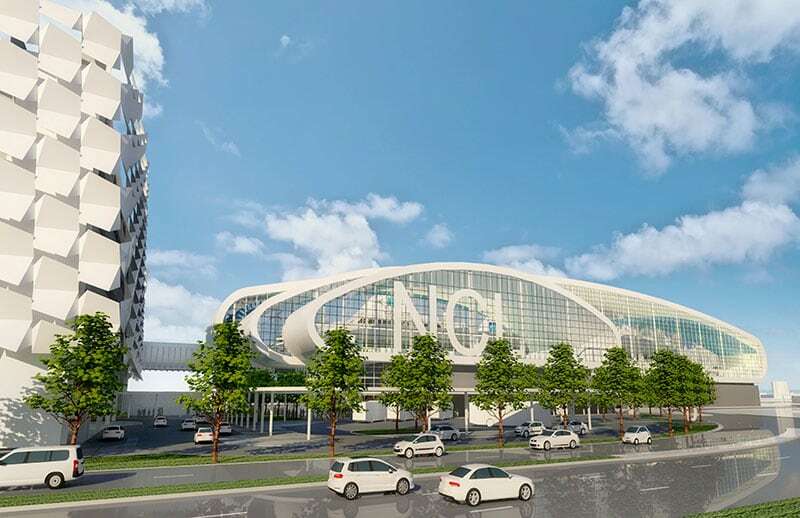 Norwegian Cruise Line’s new, all-glass, modern terminal has already been nicknamed “the Pearl of Miami,” and promises to welcome 1.3 million visitors per year. Visit the project profile to see renderings of the final design and learn more about the project.